We’re a full day removed from what was the possibly the worst Super Bowl in history; a 60-minute defensive slog with 16 combined points—only one touchdown. The halftime show was disjointed and uninteresting, there were no real standouts among the commercials; my five-layer dip was cold. The Patriots emerged victorious to secure their sixth title, but the whole thing was bad from start to finish. The real winner from Super Bowl LIII was its host city, Atlanta, which turned years of planning into a glowing week-long feature of the city itself. This was Atlanta’s third time hosting the Super Bowl, and from every review that I’ve read, they absolutely nailed it. Taking place in the sparkling new Mercedes-Benz Stadium (where a beer and a burger only cost $12, I might add), the lead-up to the big game served as a virtual advertisement for the City of Atlanta. There were festivities all week long that put the city’s rich and vibrant history on full display. The historic sites, the must-eat-at restaurants, the local bar and music scene—all were elements that had their moment to shine in the countdown to kickoff. The game may have been an absolute snoozer, but the city did not disappoint. There’s rightful public criticism about hosting events such as the Super Bowl or the Olympics. It requires intensive planning, potentially a massive infrastructure overhaul, and loads of taxpayer money. When done right, however, it really can boost a city’s profile on the global stage. Atlanta appeared to do just that with their execution of the Super Bowl, and although it was only its third time hosting the game, it certainly won’t be the last. Uber and Lyft have revolutionized the wildly out of date vehicle-for-hire industry, and both are looking to cash in on their paradigm shift in 2019. Both rideshare services are projected to go public this year with valuations around $100 billion, a massive number that reflects the immense niche that ride-hailing services have carved out in the market. Uber’s IPO could be the largest ever for a company out of Silicon Valley. So while cashing in is the end goal for a corporation, the public marketplace is notoriously finicky and troublesome to navigate—just ask Twitter CEO Jack Dorsey. Twitter has famously struggled to increase its revenue growth as it attempts to expand its platform and profitability avenues. A declining user-base hasn’t helped that cause. But Uber and Lyft can be viewed through a different lens, as they provide a tangible service that has improved upon an industry desperate for change. Do you recall pacing around the living room when your cab is 30 minutes late and your flight is due to depart in under an hour? Or the classic “credit card machine is down” when you pull out the plastic to pay your fare, leaving your scrambling to find cash. Ridesharing services have eliminated these occurrences altogether, putting pressure on traditional taxi services to adapt, sue, or go out of business. So both companies should enjoy a prosperous run on the market as they continue to be the go-to service for snagging a ride. Both have officially filed paperwork to go public, but there’s no confirmed date for the IPO. When that occurs, Uber and Lyft will both make a metric ton of cash. As I’m writing this, the northern parts of the country are experiencing bone chilling cold and blizzard conditions. Having lived in Delaware, I remember all too well having to push my car out of the snow three times on the 12-mile drive home from work. That was the winter before I decided to move south. Even though much of our country can see their breath while outside, we are looking forward to some travels coming up this spring. The first event on the calendar is 18 miles from our offices. The NSA Winter Conference is in our hometown of Orlando!  Stop by the PR/PR Public Relations booth and chat. In early March we’re headed out to San Diego for the Indie Friends and Family Forum. This is a great event open to you if you are “indie” –an independent professional, consultant, coach, or business owner – you are a “family member or friend” – which means a current or past client of Indie Books International, Mark LeBlanc, Henry DeVries, or one of our select speakers – you are open to participating in a “forum” – which means exchanging your wisdom and knowledge about marketing with a book and speech, and possibly being interviewed on a panel. And, really, why wouldn’t you be a family member or friend of Indie Books International? When they published my book, Sell Yourself Without Saying A Word, they were so great to work with I never considered anyone else and neither should you. To round out the month of March, we’ll be going back to Las Vegas for the 1st annual Stage Time LIVE! You’ve known it as Lady & The Champs, so you know you’ll be getting quality from Darren LaCroix & Company to build your business. Hopefully by the time we get home the weather will be warmer and spring will be in bloom as much as your business will be, having been fertilized by all the great ideas you’ll receive at these events. We’re back from the holidays on the PR/PR blog, and we hope you enjoyed them as much as we did. But with the end of the holiday season comes a return to regular order, and it’s time to jump right back into our featured Tuesday posts. This week? Wendy’s. Wendy’s helms one of my favorite Twitter accounts—a ruthless, no-holds-barred online presence that takes no prisoners and has built a massive following as a result. Regardless of your feelings on their square burger patties, Wendy’s’ is one of the most entertaining follows on Twitter, and on January 4th they took it to a new level. January 4, 2019 was apparently National Roast Day (who knew? ), so Wendy’s took to its Twitter account to savagely insult an eager audience of volunteers. It was hilarious and brutal, and made for some entertaining scrolling to start the year. Tom Hanks should've left you on the island. This is the type of content that builds followers, however edgy it might be. Wendy’s spent the entire day blasting people on social media and racked up a ton of follows, retweets, likes and impressions on top of it. They’ve molded their online brand in a unique way, and it’s built their audience—and customers—to boot. The fast food company capped off National Roast Day with a welcome nicety, extending an offer of a free Frosty to all customers on January 11th. It’s also a creative call to action that will bring hungry patrons into its restaurants as a direct result of its online shenanigans. You roast the ones you love, and then you share the love. Come in now through 1/11 for your free small Frosty with any purchase with the Wendy's app. When you’re looking to establish a brand voice, look no further than the creative hijinks of the Wendy’s Twitter account.